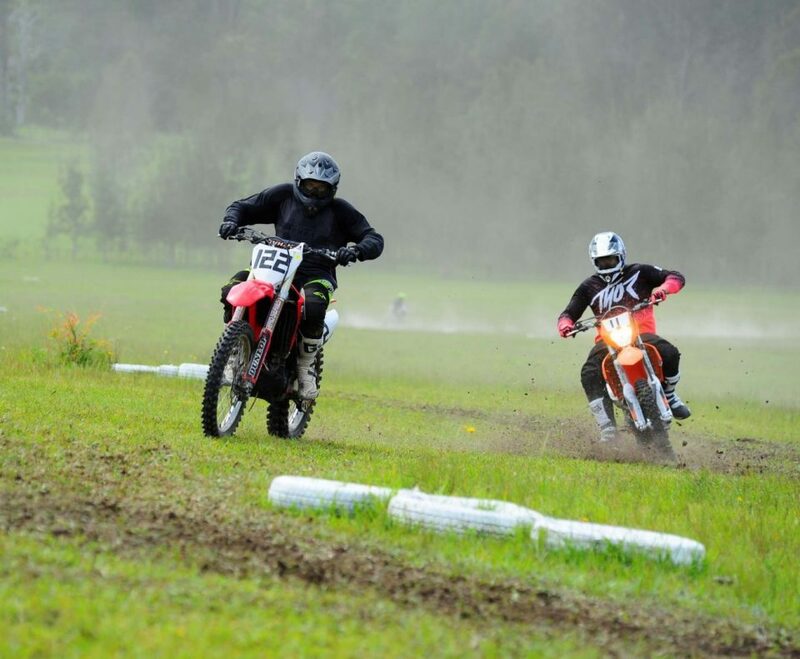 On Sunday, 25th November 2018, a contingent of Taree Motorcycle Club riders took part in Macleay District (Kempsey) Motorcycle Club’s ‘Grass Track Shakedown’ event at “The Ponds” venue. 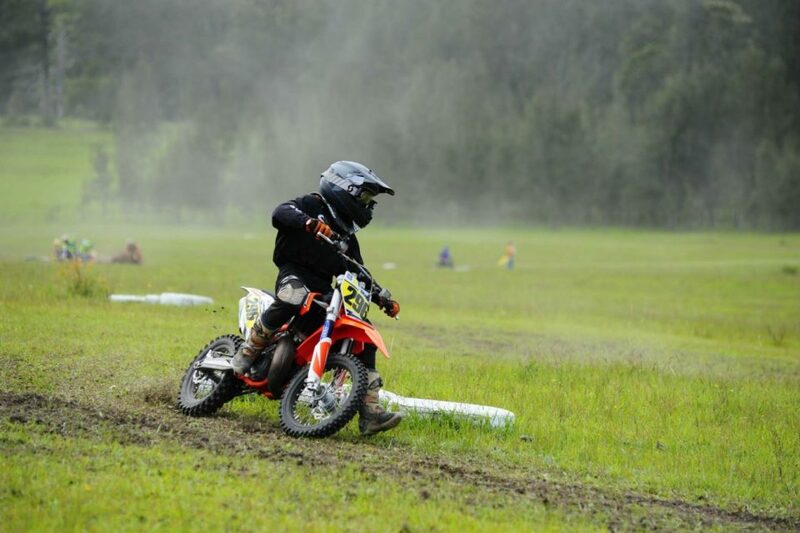 The Macleay Argus reported on the 22nd November that the Kempsey Club’s President, Trent O’Donnell, said, “We knew people wanted the grass track events to return and people were looking for a more relaxed style of competition in comparison to the speed of the Dirt Track competitions” and that, “This venue will provide a happy medium for the riders”. 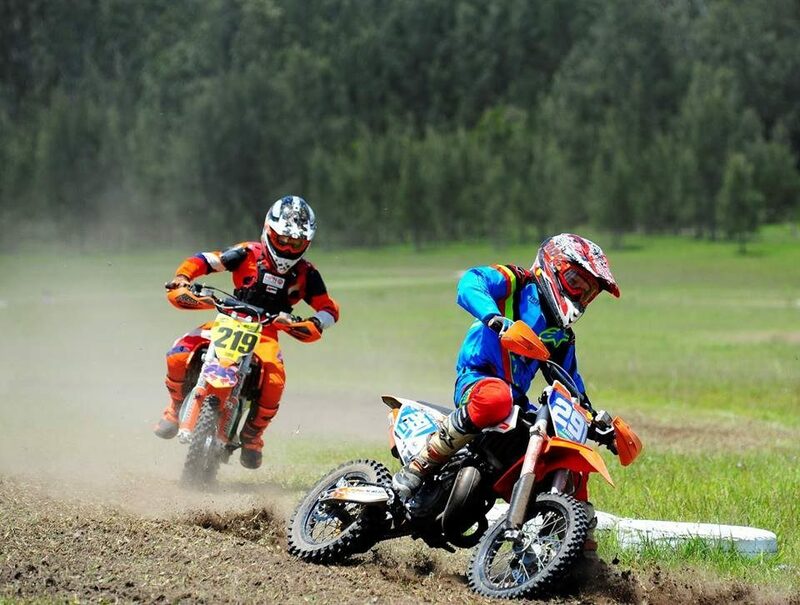 Five (5) Taree Motorcycle Club riders, #321 Hayden Grant, #296 Thoren Openshaw, #291 Zane Hopkins, #134 Dale Austin and #122 Daniel Evans – three (3) Juniors and two (2) Seniors – travelled to “The Ponds” to compete in the grass track event on Sunday. Taree Motorcycle Club Secretary, Barry Evans, spoke to Dean Dennes and Lise Olsen on Monday night. 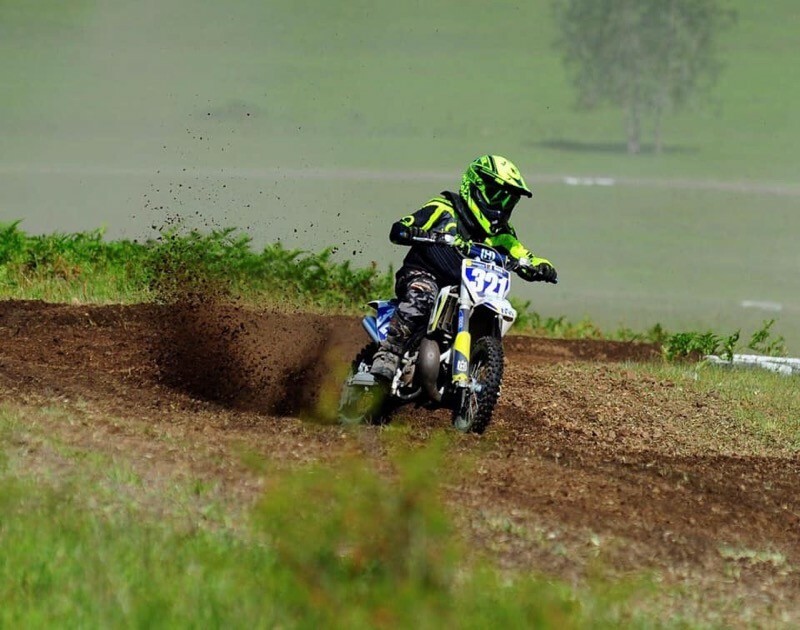 Junior, Hayden Grant, finished on the podium, achieving second place overall in the 65cc 7-U9yrs class. Hayden’s grandfather, Dean Dennes, reported that Hayden loved the track and loved his new bike – the event being the first competitive ride Hayden has had on the motorcycle. Dean advised that the Kempsey track was similar to the track Hayden rides on at home. Dean also said that they had a really good time and really enjoyed themselves. Hayden wanted to take the opportunity to thank his sponsor, Thompson Motor Body Builders (Taree). Junior, Thoren Openshaw, also finished on the podium, achieving first place overall in the trail bike class. Thoren’s mother, Lise Olsen, said that Thoren competed in three (3) classes on the day and that he rode her trail bike. Lise also said that the event was really well run and it was a great day with a lot of riders competing. Lise added that young Hayden Grant’s riding was “awesome”. Lise also reported that Senior, Dale Austin, achieved first place in the Women’s class. 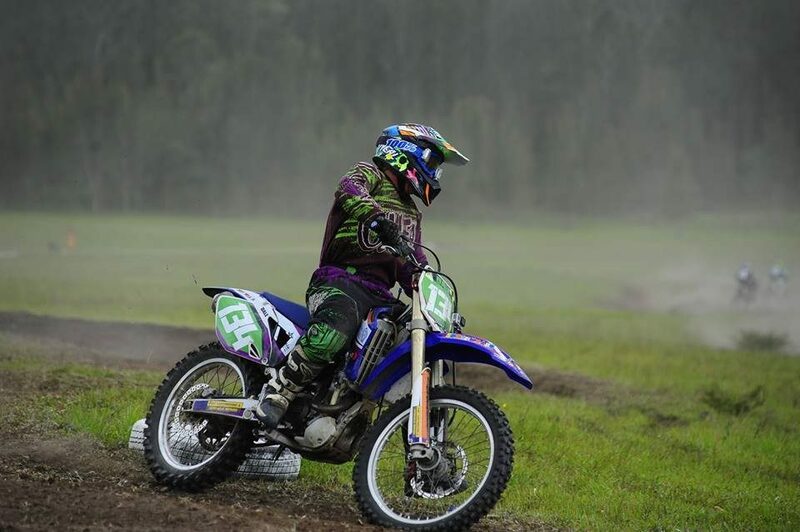 Taree Motorcycle Club congratulates our riders on their podium finishes. At Taree Motorcycle Club’s Old Bar Roadside Circuit on Sunday 2nd December 2018, the Club will be holding a Practice session in the morning followed by the Presentation and Christmas Party in the afternoon. The complex gates will open at 8:00am and all are welcome to be part of the friendly and fun atmosphere at the Taree Motorcycle Club track on Sunday.